Chestnut Cloud - Pro web hosting is with 1TB / month Bandwidth. 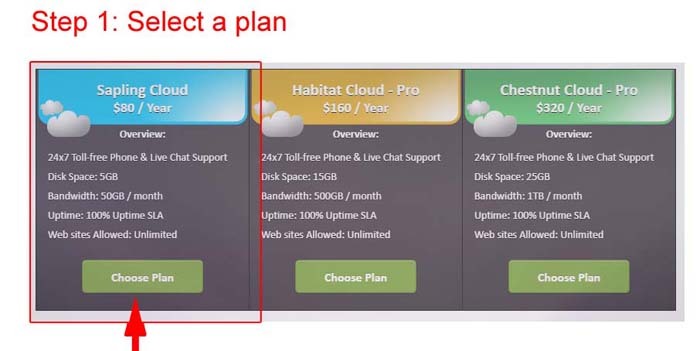 Buy this reliable Habitat Cloud - Pro Web Hosting with many great features. Buy Sapling Cloud Web Hosting with Unlimited websites and 100% Uptime SLA. 1. Select whatever plan you like at Little Oak. 2. Now Click "Checkout Now" to continue. 3. Enter your Coupon Code to get discounted deal.